The new Callaway MD4 Tactical wedges. 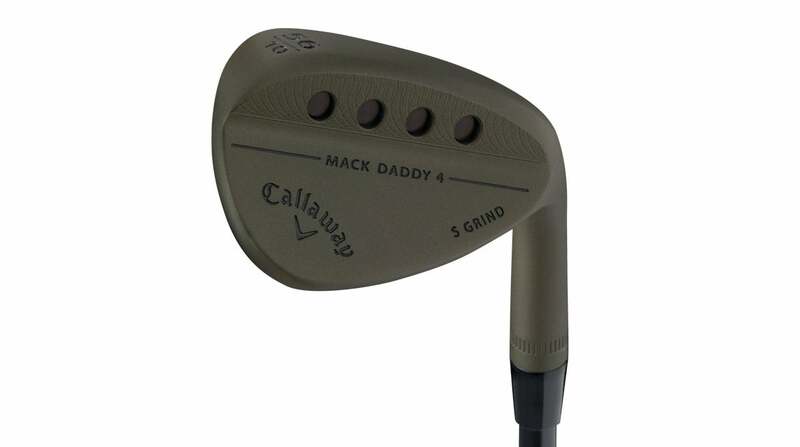 The new Mack Daddy 4 Tactical wedges ($179.99 each) from Callaway possess the same features as the standard MD4 wedges designed by Roger Cleveland with plenty of input from Callaway's Tour Staff, including feedback that led to a new Tour-preferred shape. A Groove-in-Groove design, the main grooves being milled horizontally while three micro-ridges that extend the length of the hitting area, allow for more control and spin around the greens while micro-grooves between the micro-ridges help impart even more spin on all shots. The design yields 84 different contact points when the clubface touches the ball. The S Grind version of the Callaway MD4 Tactical wedges. Another noteworthy design feature is variable grooves – the lower lofted models (52° and less) have less aggressive grooves for optimal performance on full shots while higher lofted models (54° and up) have significantly more aggressive grooves for maximum spin and control around the greens. In addition, an extra groove above the leading edge adds an extra bit of control on short shots. 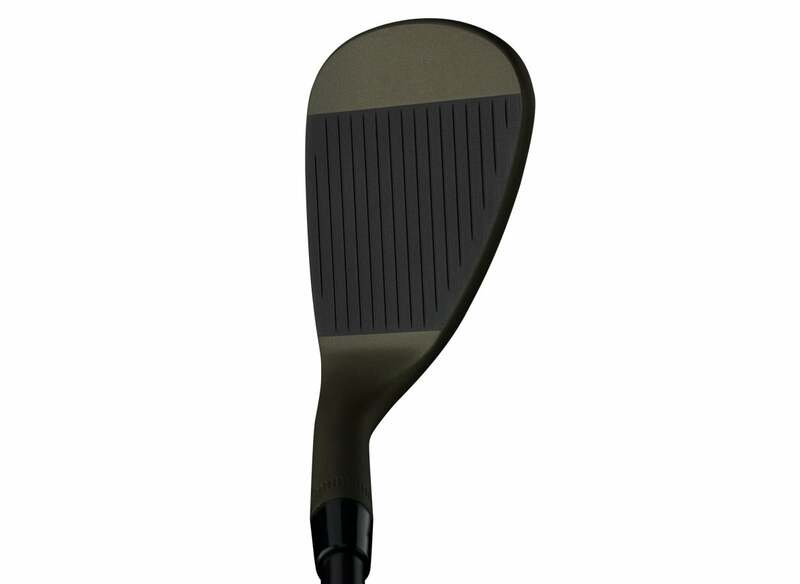 A look at a Callaway MD4 Tactical wedge in playing position. The new Tactical package also features a unique, aggressive look with a PVD finish and black medallions in the muscleback. A limited edition black Tour Issue shaft as well as Lamkin "Tactical" grips come standard. A portion of all proceeds from the MD4 Tactical wedges will go to Birdies for The Brave Foundation in honor of the U.S. military. In addition, members of the military are eligible for a special discount. 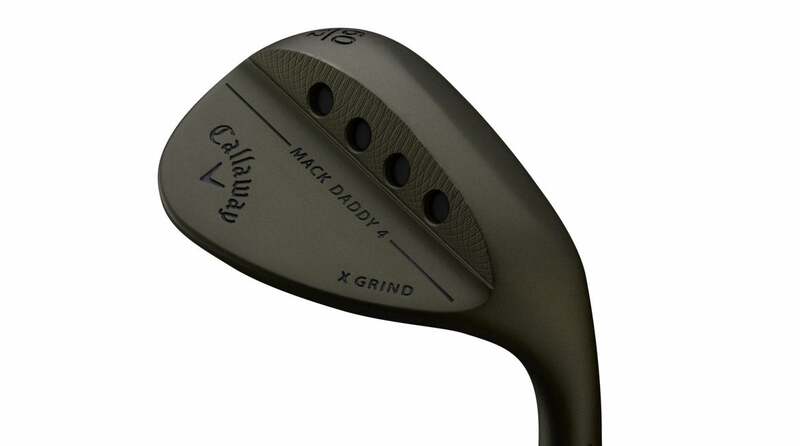 The X Grind version of the Callaway MD4 Tactical wedges. 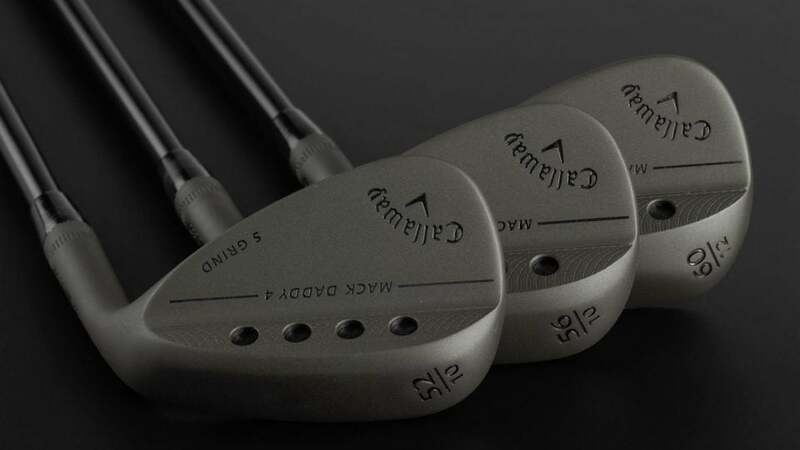 The new MD4 wedges are available in Callaway's S Grind and X Grind options – the S Grind features a medium sole width with a slight camber while the X Grind has a narrow, high-bounce crescent sole for those with a moderate to steeper angle of attack. Loft options for the MD4 Tactical wedges include 50°, 52°, 54°, 56°, 58°, and 60°. The Mack Daddy 4 Tactical Wedges will be available at retail on 9/21/18.